All photographs, videos, animations, designs, and other images contained in this blog are property of their respective owners. Digital Ninja® makes no claims to rights or the appearance of any claims to rights regarding the property referenced here, on the owner's websites, advertising, literature, or elsewhere (unless otherwise specifically noted). All efforts are made to credit and recognize the original content creator and/or property owners. 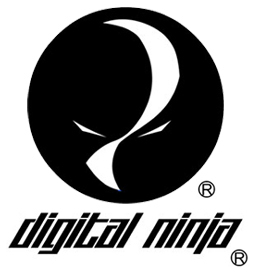 Additionally, in the post comments portions of the site: the views and opinions expressed are those of the authors and do not reflect any official policy or position of Digital Ninja® or its affiliates. My warranty was already over. I had a problem with my Sony 35mm 1.4 OSS Lens and figured out what the problem was. Read my blog to figure out how to do it yourself. On an APS-C camera like the 24mm is around a 38mm on a full-frame. 35mm is the closest to the focal composition of the human eye and the 24mm ended up being my favorite lens. The Aputure AL-M9 LED Light is an older model, rechargeable, lightweight, and pocketable light source. It is extremely bright, considering it's size. With some key accessories, you can build an exceptionally powerful little kit, enabling you to move faster & lighter. I found a youtuber online JustMEduardo showing how he made some Gels for his LED lights. He went to the dollar store and found some plastic dividers to us. It's a really affordable Do-It-Yourself project to add some mood to your lighting. Anyone can become a vlogger. As long as you have a camera. If you have a smartphone, you have a capable camera. With the right equipment, you can turn it into a more-than-capable production tool. Recently I picked up a quadcopter by DJI, called the Spark. I purchased this model over the DJI Mavic Pro for a number of reasons; price, size, and image quality. In my post I offer a couple of smaller quadcopter models I used to practice. is a photographer who takes most of his photos utilizing HDR (High-Dynamic Range) techniques. Trey Ratcliff is a photographer who takes most of his photos utilizing HDR (High-Dynamic Range) techniques. He also partnered with Peak Design and helped in launching their backpack line on Kickstarter. Sacrifice and the workspace coffee shop. Ditch Starbucks and support your local businesses. Sometimes all a place needs is a good cup of coffee and a comfortable chair. The video inspired me to share my stories and experiences with "Breath Holding". I like to think I'm uniquely qualified in this department called "breathing" because I'm an asthmatic and Leukemia Survivor. My parents would tell you, in my early years, I was in the hospital more than I was home. My Mom always kept me close and inside which probably propelled my creativity and my lust for knowledge. Despite these facts, later on in life, I became a very active kid and athletic. She was always hanging on to me trying to keep me from danger, while I ran towards it. We couldn't afford for me to play Little League Sports, so I played outside a lot. When it got cold in the winter and I would get sick, things got really scary for me. One of my most memorable experiences was when I was about 12 years old. I had gotten sick and I was desperately trying to breathe in the backseat of our car as my Father sped us to the hospital. It was a harrowing experience, as I was taking super deep breaths and I was probably getting an 1/6th of the air I wanted/needed. It was exhausting too. It was the scariest time I could remember. While laying on the cold leather seat, I wasted no energy and was laser-focused on just getting air into my lungs. When we arrived, they immediately gave me a Nebulizer treatment. Back then, the Nebulizer was a really big machine, nothing like the mobile units today. I'm forever thankful my parents had great Health Care Coverage for us. I remember being smaller and having attacks, but this one changed the way I thought about it. There was a sense of urgency and purpose in trying to beat my ailment or at the very least building up a resistance. Then I saw a movie. There was a movie that came out in 1988 with Jean Reno, Rosana Arquette and it was Directed by Luc Besson (La Femme Nikita, Leon: The Professional, The Fifth Element). The film was called The Big Blue and to me it was amazing. It was a movie about two childhood friends who became rivals in "Freediving". I was fortunate my father loved watching foreign movies and would always bring home something different. It was filmed in English, but I think it got here by way of Italy or France; I remember there being subtitles on the film. You might be able to find it on Netflix, but if you can't, somebody uploaded the entire movie in a Drive-In Theater frame on Youtube: ) If you're a Cinefile, you'll appreciate watching one of Luc Besson's early endeavors and recognizing his signature style. Besson had learned how to Scuba Dive early in his youth, which would explain why one of his first big features was about diving. The way he presented the character was fantastic. They were underground celebrities because of their superhuman skill. They were freaks of nature already, but they hyper-developed their breath holding into superpowers. I was amazed a human could hold their breath that long. I became obsessed. I immediately started researching how to get a longer breathe hold. I was already practicing how to slow down my heart rate so my pulse would be undetectable (saw it in an 80's Ninja movie). We had a community pool where my friends and I would spend most of our summer days. For weeks, you could find me in the deep end holding my self under water near a ladder. I was already a good swimmer, athletic, competitive, and good at research. Now I was learning how to discipline my breathing and all the associated thought processes. My Mom had always made sure we had Library Cards and would take us there frequently. So I read, practiced and then practiced some more. Just like was stated in the Wired video, there are ways to trick your body into doing what you need it to. I had no idea about the physiological science behind the techniques, I was interested in the mechanics and increasing my "breathhold" to aid my fight against asthma. I tried to move as little as possible and to help me slow time I thought about making a hamburger. For reals. That's how I started achieving breathe holds up to 2:45 and 3 minutes. I would think about the entire process of making and cooking a hamburger; from getting the meat from the freezer-all the way to getting the burger on the bun. After that experimental summer, I had developed ways to control my breathing and expand my breathe-hold. The techniques helped me so much, I was able to play as a Defenesive Back on our Championship Highschool Football Team and become an Highschool All-Star in Lacrosse. Grandmaster Rickson Gracie explaining the components of his style and how breathing is one of the most important. After class one day, I was speaking with my Gracie Jiu Jitsu Instructor as we mopped the mats. He knew I had a Garmin VivoSmart + and asked me what I used it for. I explained to him how I can track my steps, running, and bicycling, but mostly I try to keep track of my heart rate. Then I explained how I used to read Ninja books and then I told him about the hamburger. He looked at me like I was ridiculous. You only have so many moments with people and sometimes you aren't able to have in-depth convos to explain. Especially when you have a whole blog post like this, dancing in your head, and on the tip of your tongue. You don't get the time to talk to people in depth about your experiences and first-hand knowledge. All that comes out is, "hamburger." Having rolled with him, he is the greatest "energy vampire" I ever encountered. His technique was amazing, but I was fixated on how he made me expend energy; how he disrupted my breathing. He didn't allow me to make a "burger." This was an opportunity to make sense of what I learned, how I learned it, and why I learned it. Whether you have asthma, a walker, runner, cyclist, swimmer, or a cancer fighter/survivor-learning breathing techniques will help you for the rest of your life. The Devtac Ronin Kevlar Ballistic Mask was originally developed as a mask for Airsoft. Kevlar plates were added later. A smart watch and GPS with Android 2.0. Personally I own a Casio ProTrek Tough Solar watch and that thing is really tough. It gives me altitude, barometric pressure, and has an digital compass. It also has all your regular watch functions (time, alarms, stopwatch, and timer). It was also doesn't need a battery. GPS (linked with Mapbox//4 Gigs of storage) - you can store waypoints, notes, and voice memos. This is a Hiker's watch. You do have to download the maps prior in the event your phone doesn't get reception. The WSD-F20 provides a multitude of information for navigation and activity. (American GPS, Russian GLONASS and Japanese “MICHIBIKI” QZSS). Steadily receives positioning data and displays your current position on a full-color map. Full-color map display: The current location is determined based on positioning information received from GPS satellites and displayed on a high-resolution full-color map. when the user’s smartphone is offline or out of range of mobile device radio wave transmissions. Location: An advanced watch face is realized through a design representing the GPS and map functions and animation of the map display. Traveler: Traveler enables the user to switch the type of information displayed in the window in the lower part of the watch face, and to launch the corresponding app just by tapping the watch face of the device. Personalized map management: Linkage between the GPS function and the full-color map enables accurate display of your current location. You can display the route of your activities, record specified points and discover a wide range of other uses for your outdoor activities. * This app’s functionality is limited when connected to an iOS device. for easy confirmation anytime. * In places where signals cannot reach your smartphone, it is necessary to download maps in advance via Wi-Fi. * When connected to an iOS device, it is necessary to download maps in advance via Wi-Fi. record markers on the map or use voice input to make notes. * Requires connection to a smartphone for voice input to make notes. Cannot be used in areas where cellular service cannot reach. Alter the map to suit your purposes: Prepare a variety of map designs. Then choose the one you want depending on the type of activity and purpose of use. Android Wear 2.0, the latest update, is adopted to optimize the WSD-F20’s capabilities and convenience as a smartwatch. Easier Communication: Responses to emails and messages can easily be made using voice, keyboard or handwritten input. Users can also answer or reject incoming calls. Google Assistant built-in: Reply to a message, set a reminder, or ask for directions. Just hold the power button or say “OK google”. * Google Assistant is not available in all languages. Google Maps™: Built-in GPS enables navigation and use of Google Maps. Google Play™ Music: Users can download and play back music files with their watch, and listen to them with wireless earphones. Google Fit:Travel distances and times are displayed on the watch, a useful tool when training by running, walking or cycling. Google Translate™: Spoken words can be translated into a designated language. Users can tilt the watch for easy readability. * This app’s functionality is limited when connected to an iOS device. Here's a really great review on youtube from Phone Arena. Mark Cuban invested recently in a company called Radical Transport founded by Nick Fragnito & EJ Williams. Don't call it a hoverboard! The two founders had previously developed powertrain controls for the Tesla Model S. They re-imagined the "hoverboard" and created the forward thinking "Moov" design. There are some major differences versus the popular battery burning & exploding cheaper Chinese import versions. They are careful not to call the Moov a "hoverboard", which is great because these are not Marty McFly's "hoverboard" like in the Back to the Future films. 1. The board is a single piece of aluminum; meaning the board doesn't have two separate independent foot pedals. You turn using their TORSION TURN TECHNOLOGY. 2. An almost all aluminum structure makes theirs significantly stronger and tougher than other plastic models of similar design. 3. The noticeable larger wheel size allows for smoother riding on various surface types. 4. Batteries that don't catch on fire or explode. The Radical Transport team has rigorously tested their battery/power system and are UL certified. 5. Rider adjustability. There is an app that can adjust the rider's skill level and the sensitivity of the controls. The MOOV is a significant departure from the entertainment toys of similar design. Here is a little more information explaining some of the boards features. TORSION TURN TECHNOLOGY: Harnessing a unibody design with integrated sensors, MOOV responds to your body's natural sense of balance, increasing rider stability and improving handling. INTELLIGENT SENSORS: By strategically utilizing integrated sensors, we gain more effective rider input than traditional footpad controls. PROGRAMMABLE RIDING MODES: With programmable riding modes, riders can safely master the board before operating at higher speeds. Over the life of the board, the ride continues to suit the rider. INTERCHANGEABLE DECKS (one of their best ideas! ): Inspired by skate and snowboard culture, MOOV’s decks can be customized to suit your unique style. The interchangeable decks are secured with powerful magnets for a fast and painless swap. They are definitely making sure we know the boards are quality designed, built, tested, and certified right here in Dallas, Texas USA. The re-engineering of the physics, surrounding technology, and ability to customize the Moov separates the device significantly from their toy counterparts. Here are some of their more detailed specifications. 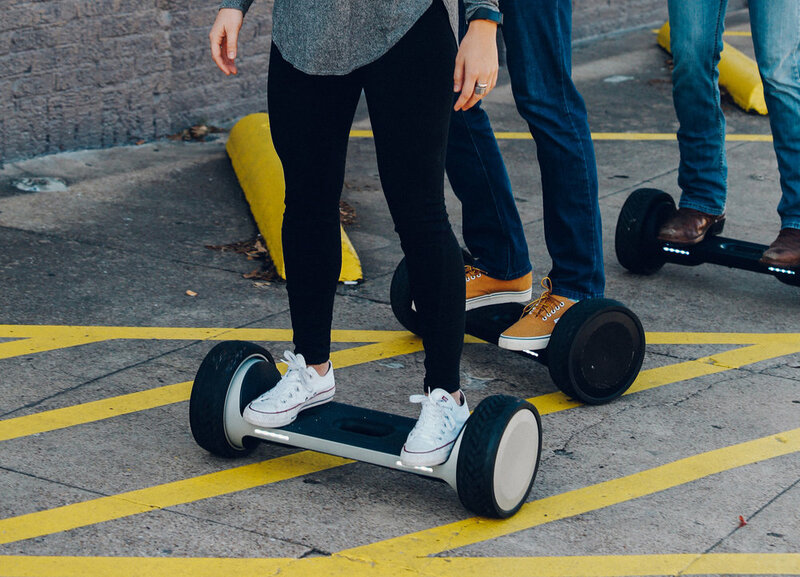 Having only experience on a regular hoverboard, its difficult to compare it to transports like the Segway systems. There are definitely more robust hoverboards on the market now. I like the MOOV, but it has a price tag of $1199+. IF YOU ENJOY THE CONTENT, PLEASE LEAVE A COMMENT BELOW. The weatherproof Northface Apex Flex GTX jacket in Thyme color. Walk through water and not get wet! You already know that Gore-Tex® is a great membrane material for breathability, but the Apex goes further. It has a stretch-woven exterior and an ultra-soft interior lining to keep you comfortable and dry. It is supposed to be a totally water proof shell- that doesn't feel like one. It has an adjustable hood and armpit ventilation zippers to adjust temperature. This could be the one and only jacket you will ever need! Northface is a brand you can trust and this jacket looks like it can take a beating. The jacket goes for $199 on the Northface site, but it can be found for a lot less if you look around online. One component of your everyday carry items probably includes a wallet or purse; something to keep all of your cards, credit cards, and cash bills organized. The Trayvax Wallet forces you to keep those items to a minimum. The wallet is simplistic in design and best of all, it looks really cool. Built to last: The wallet is cut from stainless steel and stitched together with strong nylon and 550 cord. The Adidas Y-3 Sports backpack is an ultralight, low-profile backpack that allows you to carry only your most important everyday items. Copyright © 2018 Digital Ninja® LLC. All rights reserved.